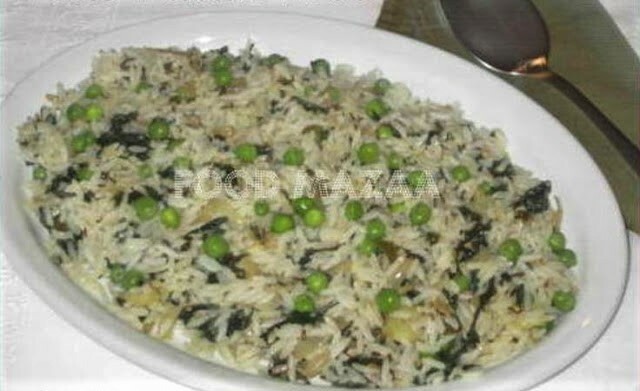 Quick and easy peas palak rice recipe. Perfect for lunch. You can also make it with left over rice. Serve with papad and raita. 1. Boil the rice and set aside. 2. In a pan heat oil and add the cumin seeds. when they crackle, add the ginger, garlic, onion and saute. 3. Tip in the spinach and saute. Add the green peas, chillies and salt. 4. Mix the boiled rice and squeeze the lemon juice. 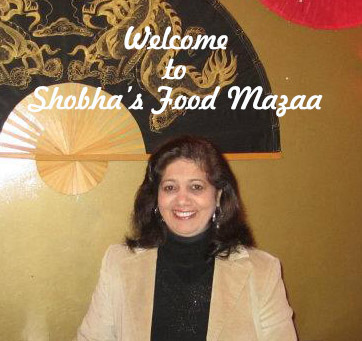 Tip: Microwave the palak for 2 minutes before adding to the pan with onion masala.. It dries up (as it leaves lot of water ) and prevents the rice from becoming mushy when added. Peas pulao looks yummy !!! Please do link it to lets cook rice event at simply.food.The rice looks delicious.